Is silk thread better? Should you pre-wash? 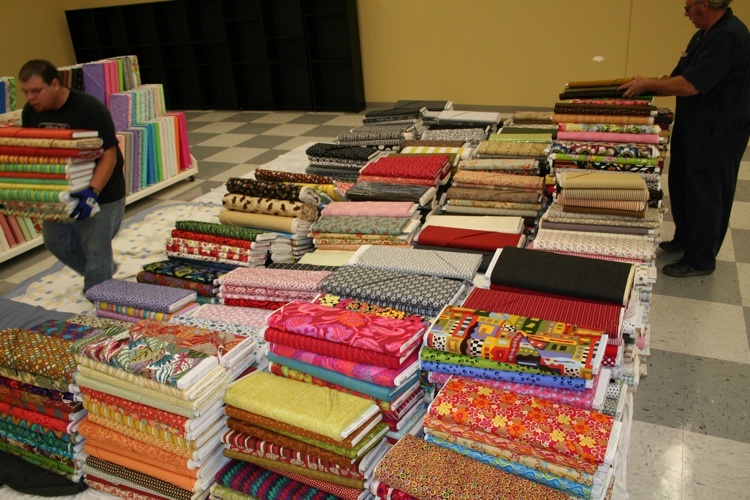 Sort out the quilting issues of our day. When it comes down to it, the choice to pre-wash your fabrics or not is purely a personal preference. There is no right or wrong answer – some of us don’t like to do it, and some of us swear by it. However, when I did a bit of internet research to see what kind of discussion existed out there on the topic, it seemed the overwhelming opinion was to absolutely prewash. When surveying the ladies here at the shop, however, I found a distinctly opposite response. You may already have a “side” in this debate, but here’s our argument to save yourself the effort. I’m lazy. Pre-washing fabric is a lot of work. It’s suggested that you wash and dry each fabric several times before finally ironing it out and adding it to your stash. Call me impatient, but once I get my fabric home, I’m ready to dive into my projects and I will avoid the washing and waiting at all costs. Not to mention easing up on the washing machine is definitely more eco-friendly. 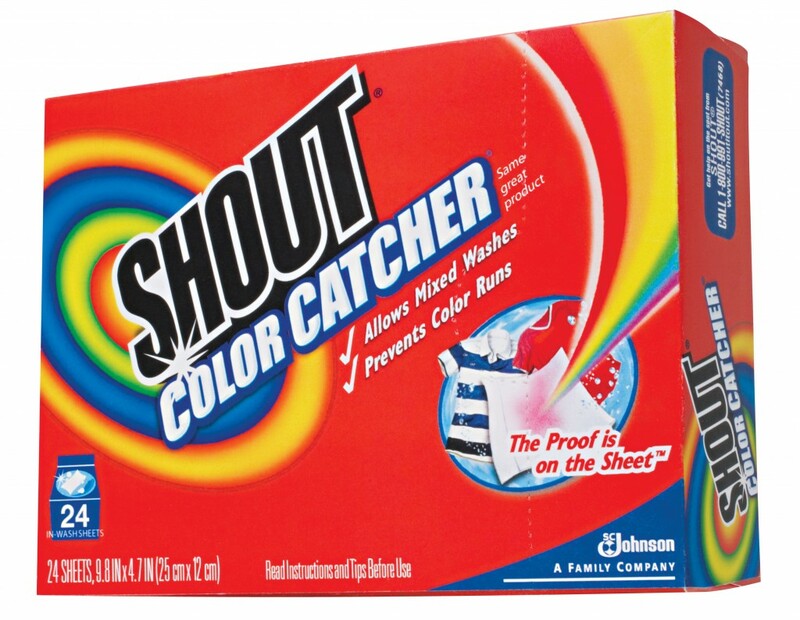 Throwing several Color Catchers into the washer with your finished project will keep your whites safe. We’ve tried it and it works. If your quilt doesn’t have a lot of light-colored fabrics, pass on the pre-wash. Your quilt will survive the laundry! What shrinkage? Some swear that pre-washing will prevent your quilt from shrinking unevenly. However, all fabrics (including batting) shrink at different rates and last I heard, no one was pre-washing their batting! No matter if you pre-wash or don’t, your quilt is going to change size in some ways. Why waste the effort? 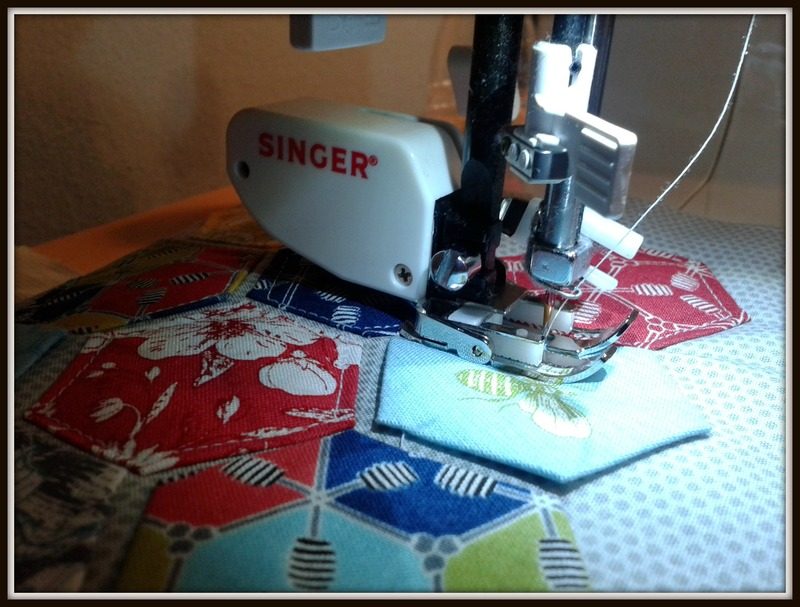 Once your quilt is quilted, the top-stitches will keep your piecing in place and there’s just no way your quilt will shrink up to a wonky rectangle. 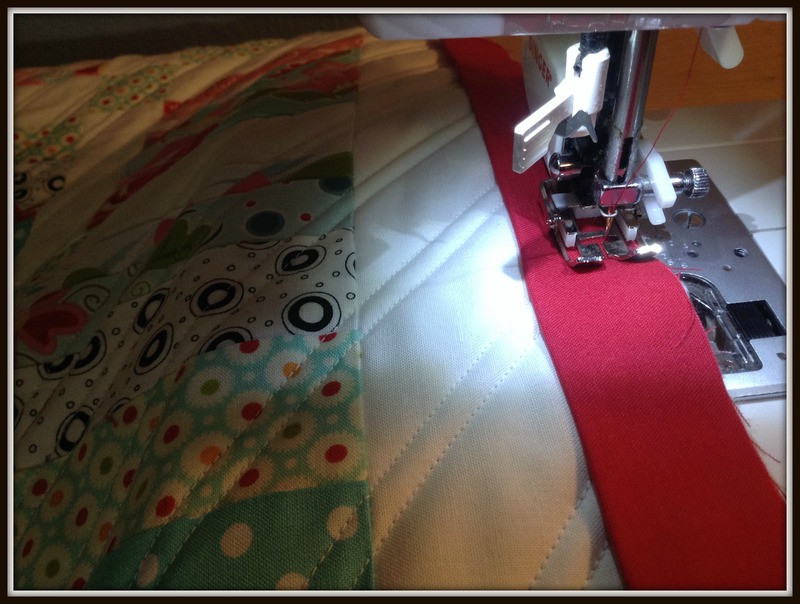 Your fabric is just going to shrink up to look how a quilt should — a little bit puckered! Easier to work with. Della had a lot of good “personal preference” reasons for why she doesn’t pre-wash. Generally, she felt the fabric is a lot easier to work with when it isn’t washed. One reason is because the fabric ravels less when it hasn’t taken a spin in the dryer! The sizing added to the fabric (which washes out) also makes cutting and sewing go more smoothly. Less fuss! Chemicals. The only pre-wash pro I can’t argue with is washing out the chemicals they add to fabric to make them wrinkle less/repel bugs. For some people, these chemicals are bothersome, so pre-washing is a logical choice. I have never noticed a problem, and I work with fabric all day, but all people are different. Why don’t you pre-wash? Or why do you? Let us know in a comment. Many of our customers have been making quite a fuss about some of our new decorating choices in the shop. But, hey, what’s the big deal? 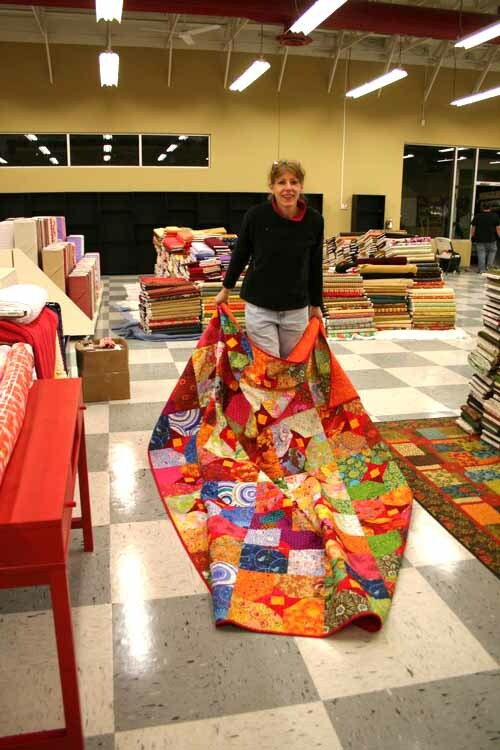 We’ve just been using quilts as … rugs! That’s right. We’ve been putting quilts on the floor for people to walk on. We (meaning mainly Karen) have been making some major rearrangements in the shop. 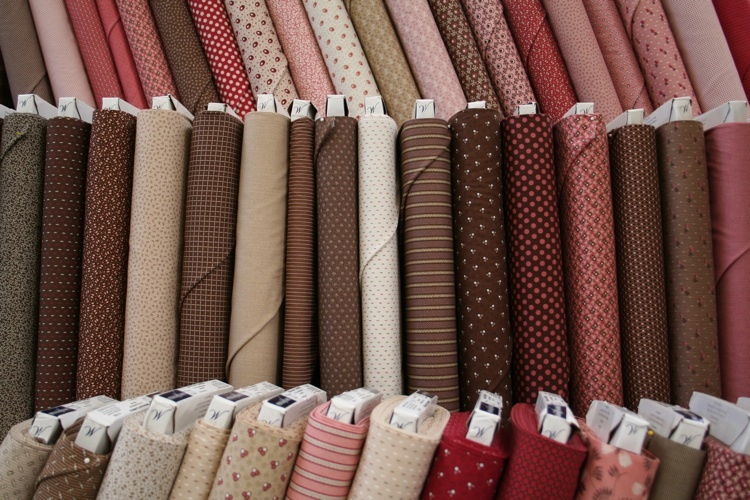 There are now many cozy fabric “rooms” that each house a certain style of fabric. 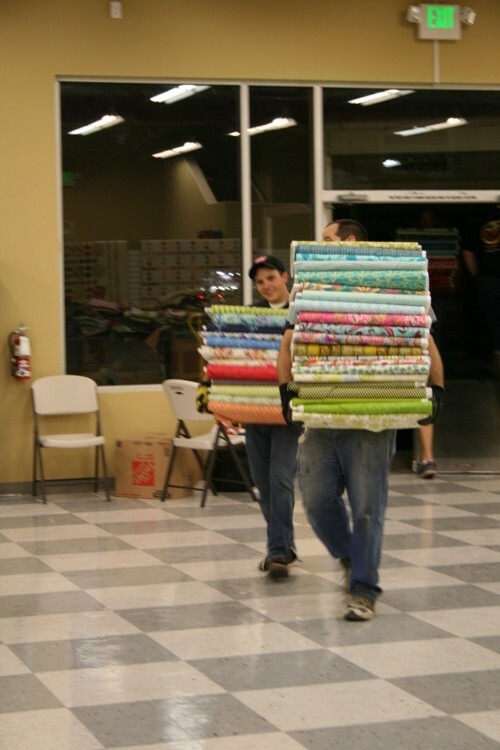 We have a Kaffe room, an Amy Butler room, a baby quilt room, and a bunch more. Once we had each room carved out, we realized we needed some final touches, like a rug, that ties everything together. Are you cringing? If so, you are certainly not alone. Many of our customers refuse to step on them! However, hear us out. We’ve got some pretty good reasons for how practical quilt-rugs are. 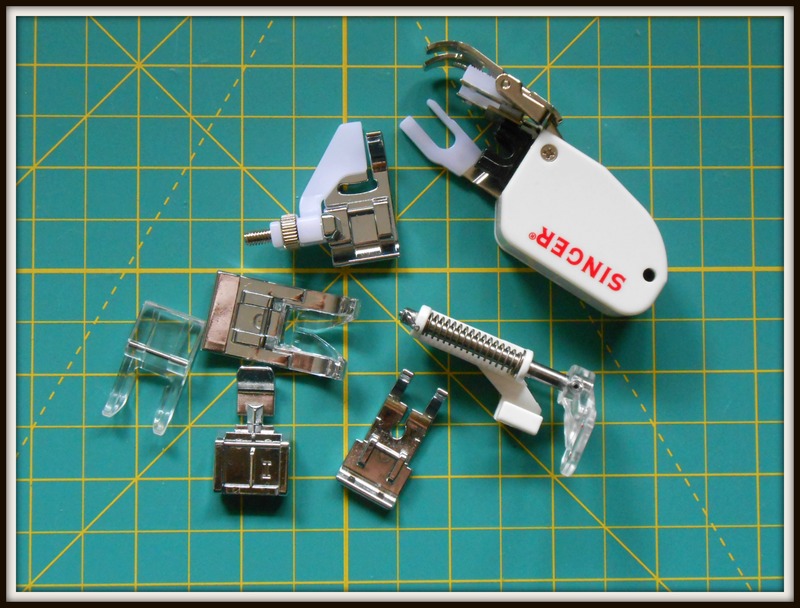 Many of our customers agree and have already started making their own. 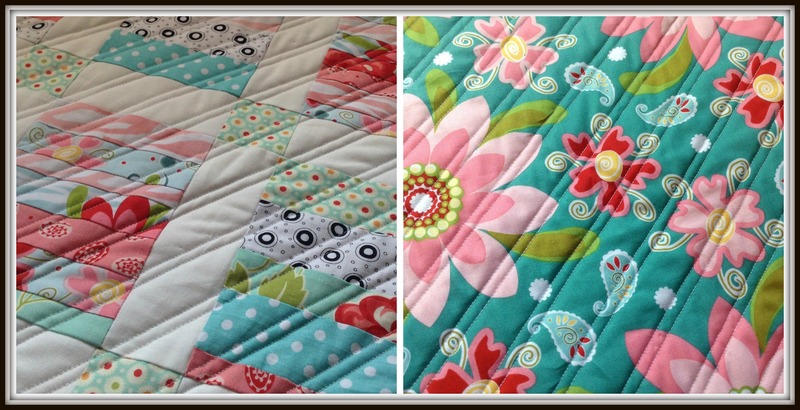 Quilts are durable and washable. 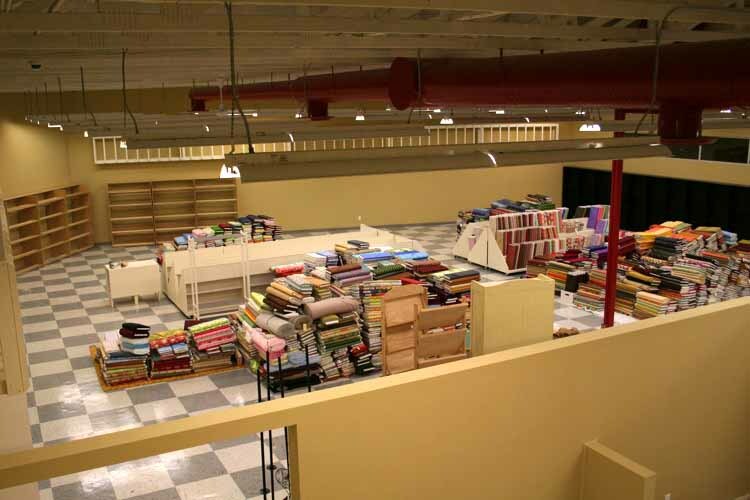 When was the last time you took a rug to the dry cleaners? Too expensive? Well, you can put a quilt into the washing machine and it comes out great. 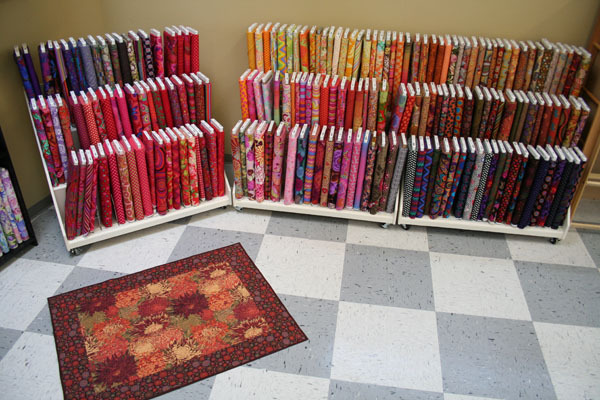 Here at the shop, we got a lot of foot traffic, so we just can’t afford to send off our rugs to get dry cleaned every week the way we can with quilts. Speaking of expensive…have you checked on the price of a room-sized rug lately? Even at Target, a large rug will run you a lot more than a simple fabric rug. 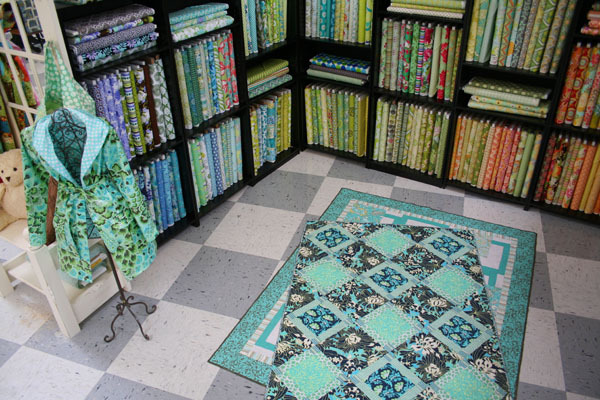 We’re not suggesting you go home and throw grandma’s heirloom quilt on your kitchen floor. Or that favorite quilt of yours that took you five years to complete. We’re a quilt shop, so it’s only natural that we have tons of extra quilts that aren’t on display that we can easily use as rugs. Maybe you do too! It saved us the time and money of buying new rugs. We also custom made a bunch of simple quilt-rugs to show how simple it is for anyone to make a stylish and inexpensive rug for any room in your house. Here's the quilt we made as a rug for our Halloween fabric. It's so simple and easy! 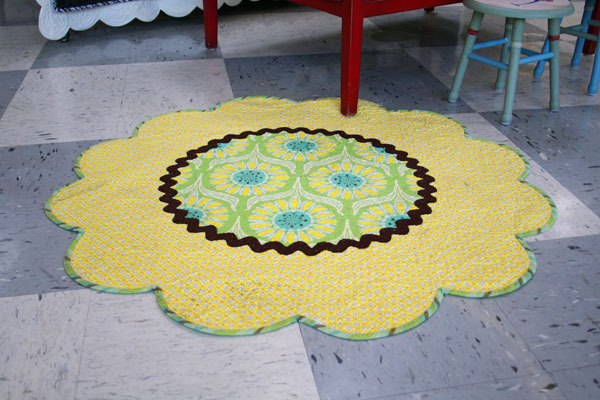 So how do you make a simple fabric rug rug? It’s more like a recipe than a pattern, but here is how you do it. Cut the main fabric 27″ x WOF (width of fabric). Measure the long side of the main fabric and trim two borders strips to this length. Sew these border strips to the long sides of the main fabric and press seams to the border. Measure the short sides of the top and cut the two remaining borders strips this length. Sew to the main fabric and press seams towards the border. The top should measure approximately 40″ x 54″. 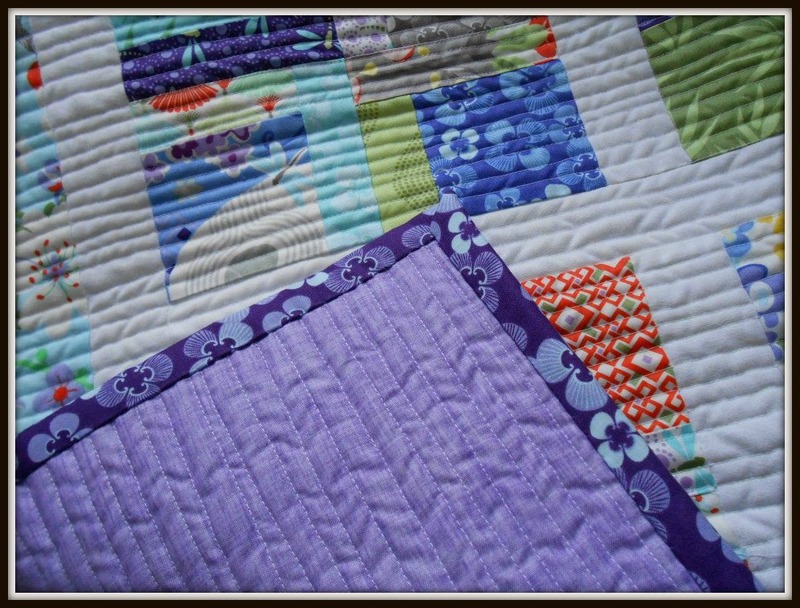 This is such a simple quilt that you can easily make it bigger or smaller to fit any space. 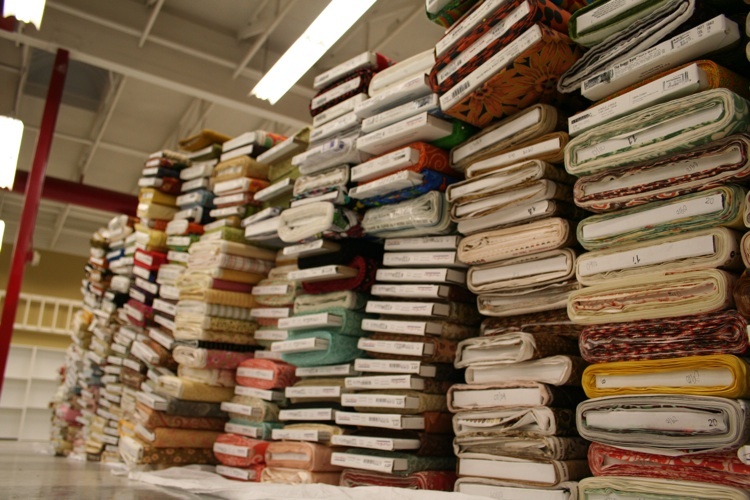 Once your top is finished, make sure your backing is bigger than your top, then quilt and bind. Congratulations, you now have a rug! 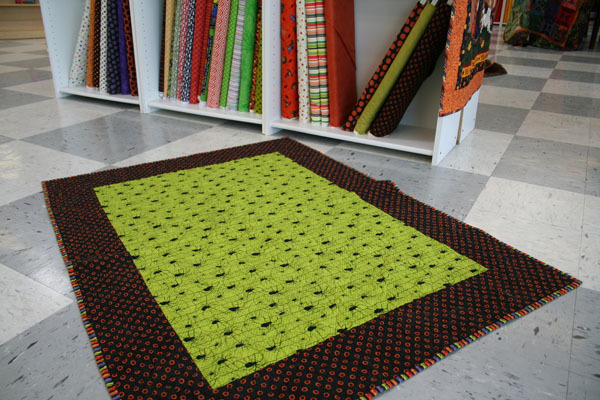 If you’re looking for something a little more advanced, we also have a pattern for a rug called Daisy Dew Drop by Threaded Pear Studio that looks so cute in all kinds of color combinations. We brought this minky rug back from market. Isn't it cute? Perfect for the kids' room! To make sure the quilt-rugs don’t move around (causing people to slip! ), we placed anti-slip rug backs under the larger quilts. 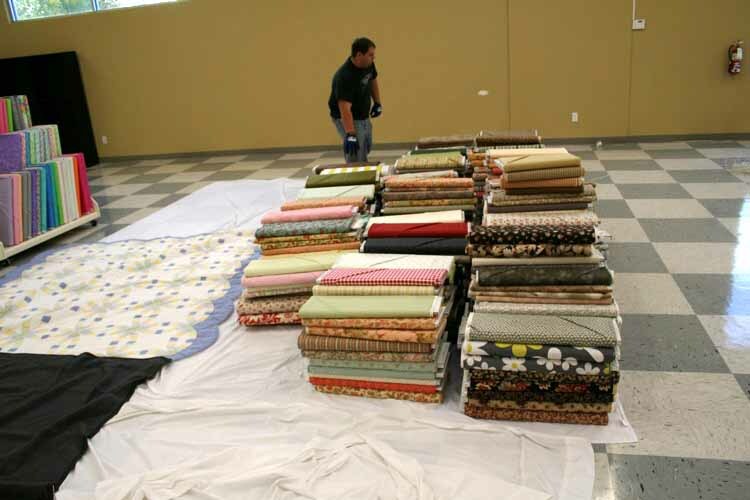 For the quilt-rugs that were made just for being on the floor, we used a product called “Non-Skid Rug Backing.” You simply paint the product onto the rug back and let it dry. It makes the back tacky so it sticks to the floor. Quilts with the rug backing are washable and the tackiness lasts through many washings. So what do you think? 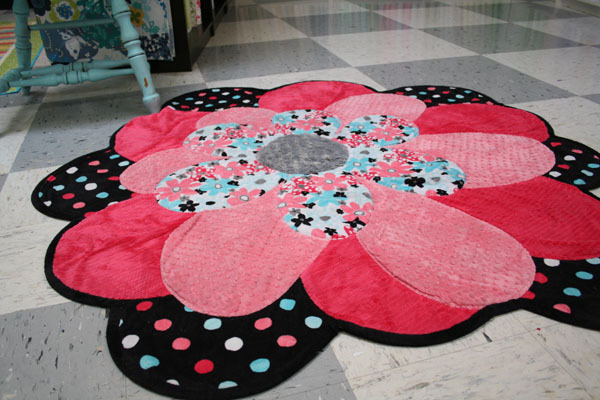 Are you against quilt-rugs or are you dying to make your own?